A trip up Mount Kilimanjaro was a dream come true for Becky Salliss, until she discovered a massive cyst on her ovaries. The KU student had raised over £3,000 to fund a trip climbing the mountain with the University, in conjunction with charity Dig Deep. But her plans for the once in a lifetime trip were dashed when she was diagnosed with a giant ovarian cyst which required major surgery to be removed. The illustration student underwent emergency surgery to remove the lump which measured 40cm in width, 20cm in height and 10cm in depth. “The pain started in June, a week after I’d gone home to buy clothes for Kilimanjaro,” said Becky. From that point on Becky’s health completely deteriorated. She was in so much agony that she bypassed her GP entirely and took a trip to Kingston A&E department, where she was left waiting with a cannula in her hand for hours because doctors passed her off as being pregnant. She was sent away, still suffering and with a bruised hand. But over the following days her stomach got increasingly worse. Her worried mother decided to travel up from their family home in Southampton and they returned to the A&E department together. The staff put the 20-year-old in for scans where she was told the cyst could be cancerous. “When I went to hospital, I had the scan and they said it could be cancer. I was so glad I had my mum with me at that point because I was really scared,” said Becky. 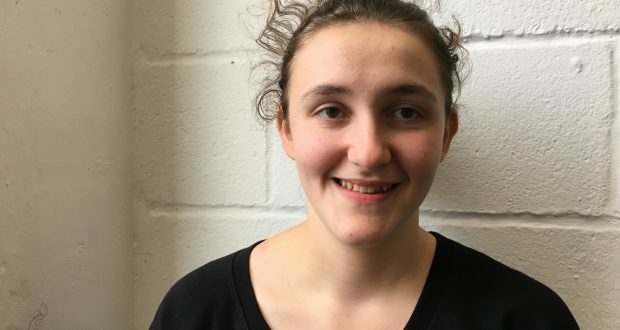 By that point, Becky had been unable to eat for two weeks, and so Kingston transferred her to Southampton hospital so she could be at home with her family. With her trip looming in sight, the family tried to speed the process up and visited a private doctor. 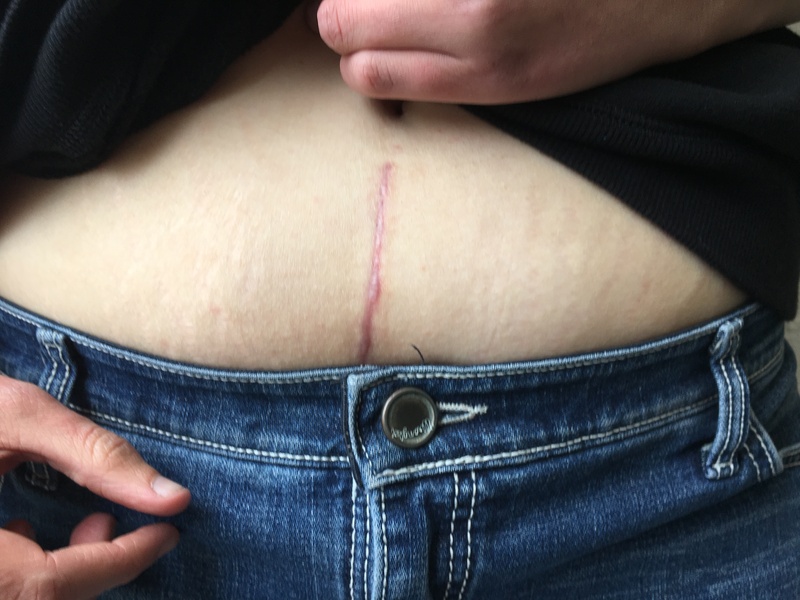 However, open surgery comes with a hefty £14,000 price tag and seeing how desperate Becky was for the surgery, her doctor transferred her to his NHS list. The transfer process added another week onto her tight schedule, and Becky had to admit that she would not be able to go on her adventure. “I had all my stuff booked and bought. I had all my rucksacks, walking shoes, visas, all of it. It was really disappointing but luckily the charity was really generous about it. They let me wait it out for as long as possible, they were really helpful,” said Becky. Despite missing her trip, the surgery came just in time as the cyst had started to take effect on other parts of her body. Six weeks following the first bout of pain, Becky was finally taken under for surgery, but she is not happy about her treatment in the system. “The NHS screwed me over. They didn’t care. They didn’t look after me. The whole system is messed up,” said Becky. The cyst at the time of removal was the size of a second trimester pregnancy, but tests confirmed it was benign. Several weeks later, she is still on the mend but hopes to be back to her active lifestyle soon. Now she is left with a scar that stretches from her belly button down to her pubic bone. Thankfully, Becky’s trip of a life time is not entirely ruined as she managed to find someone to take her spot and the charity, Dig Deep, have transferred her fundraising for a trip next summer. This time she has the opportunity to choose between climbing Mount Kenya or Mount Kilimanjaro, but she is still undecided. “My parents say I’m too young to have a bucket list, but I have a bucket list and safari is on there,” said Becky. Although her bucket list of expeditions has been pushed back a year by the cyst, she is overjoyed to be ok.
Food for thought: Can you eat off £1 a day?